Take a sip and sport your Chicago Blackhawks Blackhawks spirit with this Chicago Blackhawks Stainless Steel Tumbler. 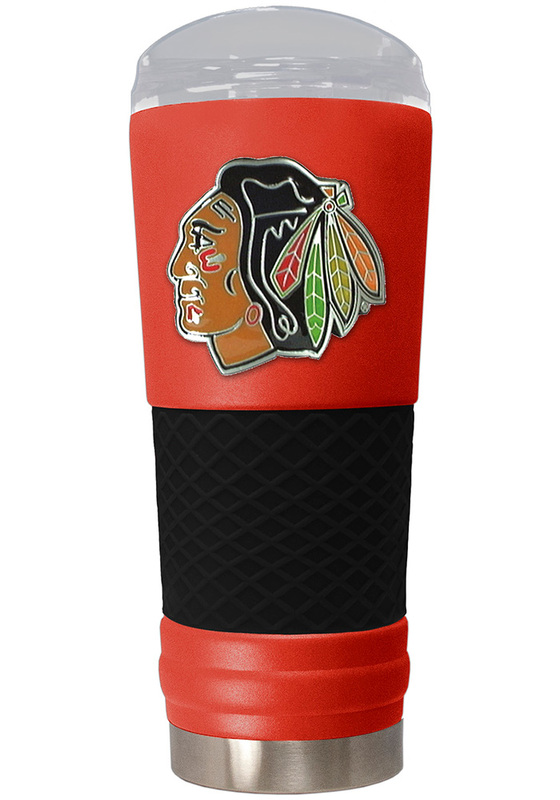 This Stainless Steel Tumbler features a high definition Chicago Blackhawks metallic graphic. The Powder Coated Draft is a 24oz Vacuum Insulated Stainless Steel tumbler. Designed to Lock in Cold for Cold Beverages and Heat for Hot Beverages. The result is a cup that not only resists damage if dropped, but also looks and feels great. Go Blackhawks!